Camping du Pont d'Avignon är en camping i Avignon, Vaucluse, belägen vid en flod/ en bäck. Campingen har platser med stängsel, med skugga och platser med lite skugga. Det finns möjlighet att hyra husbilar och bungalows. På campingen finns en lekplats och ett sportområde. För den sportige semestervandraren har campingen olika cykelleder. Det finns ett underhållning och ett fitnessrum. Campingen förfogar över en utomhusbassäng och ett knattebad. I Camping du Pont d'Avignon är det tillåtet att åka forsränning/åka kajak/åka flotte. Denna inspektör gör varje år ett besök på Camping du Pont d'Avignon och inspekterar campingen för ca 200 faciliteter och för andra förekommande punkter. Inspektören är en medarbetare från ACSI och arbetar inte för campingen. This is a remote site on one of two islands in the Rhône. It isn’t easy to get to and the road system around Avignon has to be one of the most confusing I have seen outside Italy. Not the sites fault but be aware particularly if you have a large outfit. Reception staff were friendly and let us choose our pitch, not sure what it would have been like if it were busy. This site is geared up for static holiday business in rented accommodation, touring pitches are an afterthought. We were there in May and the site should not have been open for business as only the toilets/showers were open during the week. ACSI need to be a lot more thorough in their site descriptions, specifically what facilities are available and when. The water stand pipes were of the push type and water flow is very low so filling the aqua-roll was tedious. The toilet facilities were basic but no toilet seat or paper? Come on! The showers were OK and hot but I don’t believe they were cleaned at all during our stay. You can cycle into Avignon from the site along the Rhône on largely traffic-free tracks and Avignon is an interesting city. The adult pool was open (the kids pool was empty) but it was cold - very cold, couldn’t get any further than my knees! It said 16 degrees Celsius but I think they meant Fahrenheit! I wouldn’t go here again as it is too remote and difficult to get to. The only good thing about this campsite is the location. We arrived delighted by the location and were treated well by Reception staff. I left my ACSI card with Reception while we went to park our campervan on the allocated site. On driving through the site we felt our good spirits dampen drastically, as all the whole campsite is covered with many over-hanging trees giving a dark, closed in, foreboding atmosphere. This was not improved when we arrived at our pitch which was mucky and dark due to over-hanging trees and, there was no way we could park on it or put up our awning. we didn't give up immediately, we drove around to see if there was another pitch that would be more suitable and less intimidating. We found nothing and on inspection of the toilet block and other sanitary facilities (the one that was open! ), we promptly made our way back to Reception. I went in and asked for my ACSI card back, saying that we would not be staying. The Receptionist was taken aback and made us wonder if she ever got any further than Reception during her working day, because if she did take a wander around she would've known exactly why we would not want to stay. While I was in Reception my Husband and Father took a look at the restaurant and pool area. they were dirty, dated and on looking into the kitchen (the door was wide open) it looked filthy. We urgently looked through the ACSI book again to find another nearby campsite and found Campsite Campeole L'ile des Papes, approx. 8km further along the road, where we found lovely staff, facilities, location and had a lovely stay. Perfect, peaceful location for visiting Avignon and the surrounding area. I am astonished that the Campsite Pont D'Avignon achieved 4 star status. We always look for 4 star campsites as we usually find good, clean facilities with good provision for Campers. this was not the case with Campsite Pont D'Avignon!!! Stayed on this campsite for a night in early June as it was one of the closest to Avignon. The positives are that it's really close and you can get the free shuttle boat over to the town. The pool is also nice and clean. That's really it for the positives though, pitches are gloomy, dark and covered over by trees - we had to have our interior lights on at midday in bright sunshine as it was so shady. Toilets and shower facilities old and tired and not great. Bar area was shabby and a bit run down. When walking back from Avignon, we spotted a nearby Aire that looked so much better - nice and roomy and with electric hook up, would aim to stay there if visiting again. We have had a second week here and love it. The staff are helpful, the food in the bar is good and it is so easy to get into Avignon. Stayed on this site for a couple of nights whilst visiting Avignon. Good sized pitches with hedges. WiFi thankfully useless but dogs not under control. i.e. a dog friendly site. Staff friendly and facilities up to the usual French standard. Some stuff was stolen that we left in front of our van, that never happened before on any campsite (roughly 60) in France. "Guardian" personnel not helpful after we told the theft. Although it had quite a nice kids club, with caring staff , the pool was good and the showers were very clean. I found the campsite very impersonal , dark and unattractive. There were quite a few non car campers but we were all given very muddy, no grass pitches. Which were dusty when sunny and flooded when raining. Although the campsite is on a island looking over beautiful Avignon centre. You can not see Avignon as there is a very ugly and tall fence all the way around the campsite. The campsite is dark with ugly roads crisis crossing the campsite. No signs to drive slowly or children playing. So cars drive fast not giving pedestrians right of way. The entrance is on the other side of the river facing away from the river bank towards Avignon. You have to walk along a road for 15 minutes just to access the river bank which takes you to the shuttle boat. Very frustrating when your tent is literally 50m from an unopened exitgate that would takes you direct onto the riverbank. I understand securit is an issue but surely you can man one other entrance between a certain time. If you miss the riverbank shuttle bus which runs from 11-8.45pm (couldn't this be earlier and later) you have a very boring walk along a busy road and a motorway bridge into town that takes at least a 25 minutes. Also the campsite is a long walk 35/ 40 walk to the main bus and train station so not a very good base if you do not want to drive for day trips around the region etc. The shop is badly stocked not enough camping gear gas cylinders etc. toilet roll, shaving etc. the playground needed updating mended. The entertainment is terrible and very very loud and goes on until midnight. Could it be quieter. Also. No toilet roll or hand soap in the toilets, and the toilet in the bar is revolting. Campsite was very frustrating as could be excellent with more investment, and more thought had gone into the user experience of the camper, especially campers that don't want to drive on their holidays. Wonderfully placed for Avignon; 10 min cycle to free river taxi. pitches good and nice size. not much of view but quiet at night and very secure. pool fantastic and restaurant great food. wash areas ok.
Well placed for walking or cycling into town.large flat pitches with good tall tree cover.also a cheaper area for motorhomes that don't want electric that's simply on large car park in the site. toilet blocks are clean , and have actual toilet s not just hole in the ground, but like rest of the site could do with a repaint and freshen up. Pool looks v,clean and large with small kids pool beside it. Bar and restaurant beside pool and a bit loud but all quiet by 11 pm.Can imagine in August it could be a bit hectic.The design of bar etc is dated and being in an alcove tends to enhance the noise level. We were camped all way over to the veiw of the river so no bother to us. 2 full size tennis an volleyball on-site.We like it and can reccomend. Vill du boka campingen Camping du Pont d'Avignon eller få mera information? Det går bra med nedanstående uppgifter eller via campingens webbsida. 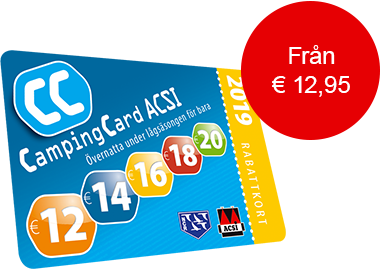 ACSI Eurocampings skickar din informationsförfrågan till "Camping du Pont d'Avignon".